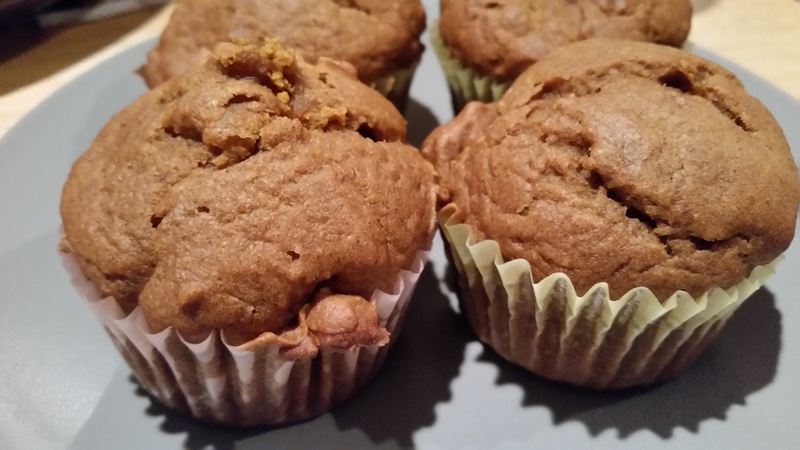 Pumpkin Muffins – What's for Dinner Moms? While I am taking care of my family I have a few recipes in reserve that are family favorites. I hope you enjoy. You may already know I am NOT a fan of the pumpkin spice overload. I think it is way overdone and I especially don’t like the artificial pumpkin taste and smell in many items. Don’t get me wrong I love pumpkin just not the over saturation of fake pumpkin. These muffins were super moist and delicious. This recipe made 15 large muffins. They were perfect for breakfast and on the run snacks. Preheat oven to 375 degrees. Prepare a muffin pan by placing cupcake liners in cups. In a large bowl mix together flour, baking soda, cinnamon, pie spice, and salt until well blended. Make a well in the center and add canola oil, sugar, brown sugar, pumpkin, eggs, and milk. Stir until all ingredients are blended. Fill liners about 2/3rds full. Bake for 15-18 minutes until centers are cooked through. Remove from oven and allow to cool for 5 minutes before moving to racks to finish cooling. We are UK based and as a result we don’t get a lot of pre prepared pumpkin goodies. Will test this out when we get back from LA in a couple of weeks! Hope you like it! Safe travels. How are you holding up gurl?? ?… and how is your mom doing??? Thank you! Mom came home today and is super tired but we have some answers and are hoping a Dr appointment on Tuesday will give us more. They look good! I may have to try them. I have to say there was a time i was all about the pumpkin flavored craze. But, i have to say i have grown out of it. Pumpkin muffins and of course pie are my still my weakness. It is that plastic tasting artificial taste that gets me. I love the fresh taste of pumpkin pie and muffins. These muffins look lovely, Marci. 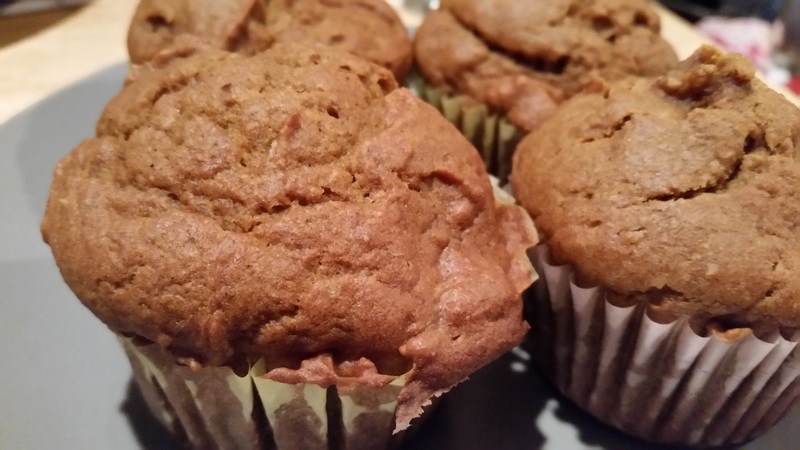 Pumpkin muffins – I have never heard of that before. Glad to hear your mom is home. Thank you, Erika. Hope you like it. Looking forward to trying them. Would it still turn out the same with vegetable oil instead of canola oil? Yes, I just usually use canola but they will be very similar. Hope you like them! Hi I love anything pumpkin! Thanks for sharing, making these soon! Thank you! I have a pumpkin roll pancake recipe coming up at the end of the week that was amazing! Pingback: 3 Most Popular Recipes for October – What's for Dinner Moms?